Bowler Motorsport is thrilled to announce the presence of our Works Team at the British Cross Country Championship (BXCC) for 2019. Bowler has frequented the deserts of Morocco more in recent years than it has the British countryside; therefore we look forward to returning to our racing roots over the coming year. The BXCC starts next weekend on the 6th & 7th of April, with Round One taking place at Walters Arena in South Wales. Over the weekend, competitors will complete 12 laps of an 8.5 mile long course. Director of Bowler, Richard Hayward, will be competing in the event in the new V8 powered race car, which he says is the fastest car ever built by Bowler. Richard is looking forward to the BXCC after his success at the Welsh Hill Rally and Scottish Borders Hill Rally last year. Accompanying him will be Bowler’s Head of Motorsport, Dave Marsh, in the V6 powered Bowler 110 vehicle. We would like to invite both Bowler’s existing and aspiring drivers to join us as our guests at the first round of the BXCC. If you have an interest in racing, Bowler can provide you with a rare insight into what it is like to take part in a British event. You will have access to the service park where you can observe and speak to the mechanics and drivers. 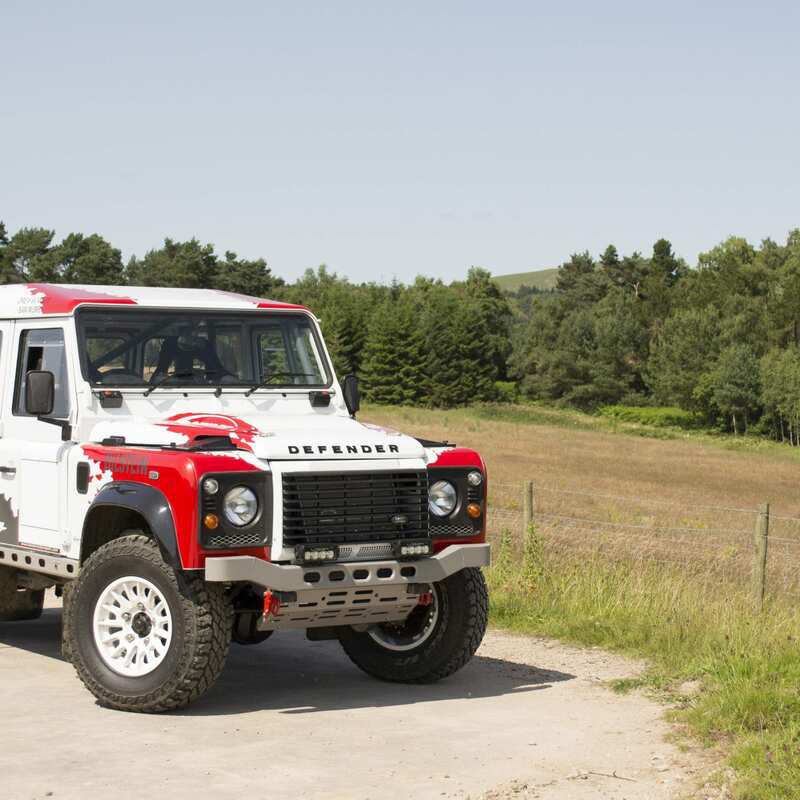 We would then like to invite you to take part in future BXCC events in our Defender Challenge car. The BXCC could be the start of your racing journey. Head of Motorsport, Dave Marsh, will advise you throughout your racing adventures, where you can take part in training, comp safaris and ultimately international events. One day you may even achieve the off-road racer’s ultimate goal of reaching Dakar! In addition to the competing cars, Bowler’s Defender Challenge car will be on site at Walters Arena allowing you to take a closer look at the car you could compete in later in the championship. As well as allowing new drivers to learn vital technical driving skills, taking part in the BXCC will be an excellent opportunity for Bowler’s existing drivers to refine their skills before entering international races later in the year. Round One at Walters Arena and all future rounds of the BXCC will be covered by Special Stage Rally Review, with the footage appearing on Front Runner Channel (Sky 431) and also uploaded to Youtube. If you are interested in taking part as a driver in future events or attending the event at Walters Arena as a guest please call +44 (0) 1773 824 111.